Luke 17 And The Rapture - . Point 5 (Matt. 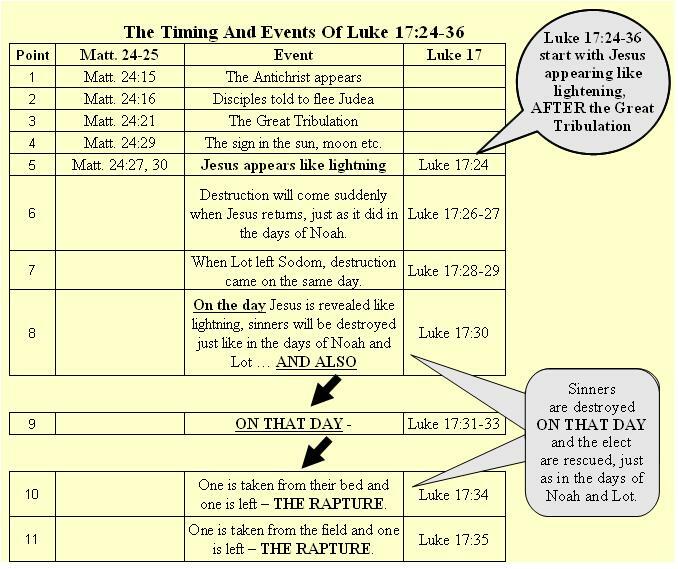 24:27, 30) says that Jesus will appear like lightning - Luke 17:24 is the parallel verse. Now let's follow the verses in Luke 17 which describe Jesus' return AFTER the Great Tribulation.